The downtown Los Angeles apartments provide a gateway to a world of wonder. From the historic majesty of City Hall to DTLA’s heart, Pershing Square, there’s plenty to do and see. This Memorial Day, the excitement will be be going up another notch, as the celebrations for this, one of the most American of all holidays, will see plenty of fun events coming to downtown and across the city. Memorial Day 2018 might be falling on a Monday (as it tends to do), but the preceding weekend will be filled with plenty of action. To get you set, we’ve put together a handy list of some of the area’s best options for fun. Read on, and see which of these spectacles will be the most appealing. Be sure to make your plans ahead of time to make the most of wherever you decide to go. Memorial Day takes on a special significance for many, due in no small part to the fact that it hails the beginning of Summer. Adding to that is the long weekend — meaning Memorial Day is one of the most ideal occasions to have fun and party hard. With that in mind, we’ve collected some of the most electrifying Memorial Day events you’re going to find, fit for a weekend full of amazement. No worries, we’ve also got a few laid back and family-friendly options for you to bring the kids along as well. The Rooftop Cinema Club has always been a delight, and their expansion to LEVEL seems to have made it that much more delightful. This Memorial Day Weekend, they’ll be screening two classics for your enjoyment: The Godfather, and The Dark Knight. On March 25th, you can see one of film’s greatest family tales, The Godfather, play out at 8:00PM. Alternatively, you can head over to LEVEL on March 26th (same time) and see The Dark Knight, perhaps one of the most well-made superhero films of all time, projected against the spectacular views of downtown. 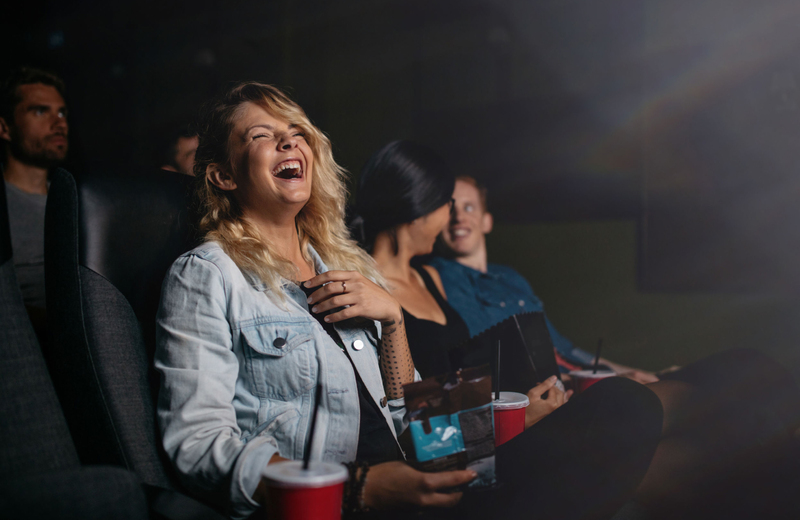 What better way to relax while enjoying what Memorial Day has to offer than loafing on Rooftop Cinema’s comfy deck chairs and turning your gaze to the fabulous big screen? You’ll still have chances to see it after Memorial Day, of course, as the exhibit runs through Spring 2019. Catching it Memorial Day Weekend, though, will provide a welcome diversion from the typical party-style fare. Happy Place is still in town through Memorial Day Weekend, but after that they’re packing their bags and hitting the road for Chicago. If you don’t mind standing in line (which goes doubly for the holiday weekend), you’ll be treated to some picture-perfect displays that are begging to be photographed. Be sure to get a few shots by the giant, rubber ducky. Enjoy Smorgasburg, Why Don’t You? Getting your burger fix on for Memorial Day Weekend? What could be more all-American? To quote Steely Dan, “or maybe you would like to see a show?” No Cafe D'Escargot here, sadly, but if you head to the Ahmanson Theatre Memorial Day Weekend, you can see one of the several showings of Soft Power that will be running. It’s certainly an interesting and original take, and, if nothing else, this show will add a few laughs to your memorial day festivities. This is the sort of gathering that inspires friendship and summer fun for all, so if you’re the jolly sort who can’t turn down a jam-packed, festive get together with plenty of food and music, make sure to show your face. You can even “ring a small percussion instrument or a hula hoop and keep time to the music.” Don’t forget to register in advance and snag some tickets to reserve your spot at the party. If you chose well, you likely had a blast. The fun doesn’t have to stop with Memorial Day festivities, however. When you live in pristine downtown enclaves like Eighth & Grand, the fun just seems to keep on rolling. Maybe it’s the amazing comfort provided by the ample living spaces, or the convenience afforded by the astonishing building amenities? Whatever the case, you’ll be mesmerized. Be sure to check out everything Eighth & Grand has to offer, and make it your first choice for downtown living in its most perfect form.